← Do You Think You Are Too Small? And it would probably be pretty accurate. I never get sick of peeking into other people’s shopping carts. Because the stuff I see never stops to amaze me. It’s actually pretty funny wearing a Personal Trainer uniform and go to the supermarket. Because people get this guilty look on their face and try to hide away the chocolates, chips and other obvious ‘not so healthy choices’ they may have in their cart. I can tell (in 98% of the cases) what’s in a person’s shopping cart just by looking at them. You know, the typically busy business mum, professionally dressed, maybe wearing glasses, looks a little tired, probably on the phone, dragging one or two kids behind her. She’ll have Low Fat Ready To Heat Meals, Up&Go breakfast, muesli bars, bags of salad and everything you need for ham and cheese sandwiches for the kids. Then you have the sporty looking dude, with a fake tan (or it could be solarium), spiky hair and sunnies. He’s got chicken breast, broccoli, sweet potato and basmati rice. And maybe a caffeinated energy drink (sugar free of course!) – and depending on the type, if you meet him on the weekend, it will be the total opposite, beer and chips. The slightly overweight, middle aged man, with frozen pizza and coke (that’s all, who needs more than one meal a day?). The severely overweight (maybe even obese) couple in their mid thirties, no kids, but lots of lollies, chocolate, ice cream, soda and chips. And cheese. And more cheese. And some frozen meals. Last, but not least (or maybe?) the skinny (too skinny?) young girl with some fat free yoghurt, a bunch of celery and a protein bar (this is for the whole week mind you). Stereotypical you think? Yes, maybe, but also very spot on most of the time. What you have in your shopping cart really says a lot about who you are and how you value your health (or sometimes how educated you are on the topic ‘healthy’ and what religion within different dietary advices you choose to believe in) and what matters to you in life. 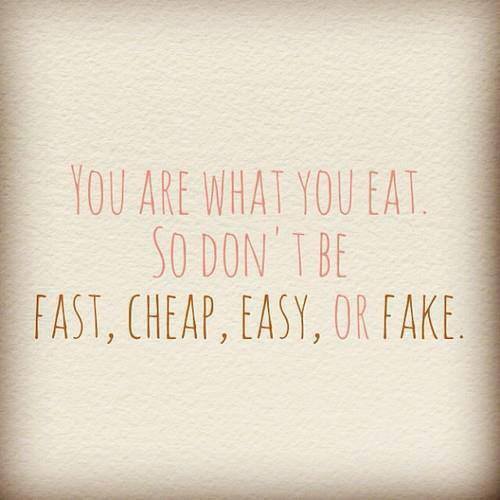 If everything you buy is processed, sugary and lacking nutrition, you are likely to look unhealthy and tired. If everything you buy is chicken breast, spinach and broccoli, you may have a slightly stressed relationship with food (but you may also just be a machine and only eat the same things every day or you might just be a bodybuilder). If you fill your cart up with fresh fruits, lots of vegetables, eggs, meat, fish, cream, yoghurt (full fat), coconut milk and a cheeky dark chocolate, you probably look great, with a healthy glow and strong, shiny hair. And you probably have a good relationship with food, and eat because it’s good for you, it tastes great and you’re not depriving yourself from a treat or from having dinner with friends. Next time you’re at the supermarket, have a look at people and have a sneak peek in their shopping cart. Does it match up? But most of all, have a look at yourself in the mirror and your own cart. Who are you? Who do you want to be? Maybe you need to start your change with your grocery shopping? Swap the frozen potato chips for some sweet potato you can make into chips yourself. Swap that processed ice cream for frozen strawberries (or any berries really) and some cream/coconut cream and make your own version. Get out of the habit of drinking Coke, buy some soda water and add a bit of freshly squeezed lime instead. No excuses valid, sorry! It really is all the small things you do every day that makes the big difference in the end. Have a look at your groceries, what can you change today, for a better version and for a better you (yes, you can!). PS; watch out for anything on special – just because it’s cheap, doesn’t mean it’s good for you! This entry was posted in Food and tagged Food, Groceries, Grocery Shopping, health, Healthy Lifestyle, Homemade, If It Makes You Feel Good It Can't Be That Bad For You, Inspiration, Natural, No Excuses, Weight Loss, You are what you eat. Bookmark the permalink. I’ll have to check out the carts when I go shopping on Saturday! I’d better watch where I’m going though – don’t want to crash into anyone! LOL, true! A little multi tasking there for you 😉 Have fun! You are exactly right, I do this all the time and the shopping cart makes the person. I have always wondered if I were to shop with individuals who are trying to lose weight if I would see a shopping cart full of fresh, healthy, delicious foods, or full of weight watchers easy meals and ‘low fat’ (full of sugar) everything. Sadly you can’t short cut good health. Trick is to walk around the edges of the supermarket, or even better shop at a farmers market or Harris Farms. Only preprepared thing I will not give up is canned chickpeas and other beans – so convenient! I ❤ your cheeky dark chocolate. Hahaha! Excellent post. We’re proud of ourselves. Went shopping today at our local orchard farm store and came home with freshly picked cherries, apricots, peaches and blueberries plus a nice bunch of locally grown green beans. Alas, the tomatoes aren’t quite ripe enough yet, but the local zucchini was. I’m going to grill some local salmon and have a pig-out with stir-fried green beans and zucchini and a big fruit salad, mixed with Greek yogurt. We can’t wait for supper! It looked like everyone else shopping there was buying healthy as there isn’t much else available at that store (excepting maybe the pie crust). We feel privileged to live in an orchard farm area – the Okanagan Valley in British Columbia, Canada. Girl, I do that too! I’ve actually posted about it and had some leave a snarky remark saying.. I hope you don’t tell people what they can and cannot eat. No one likes a flood mother hen! 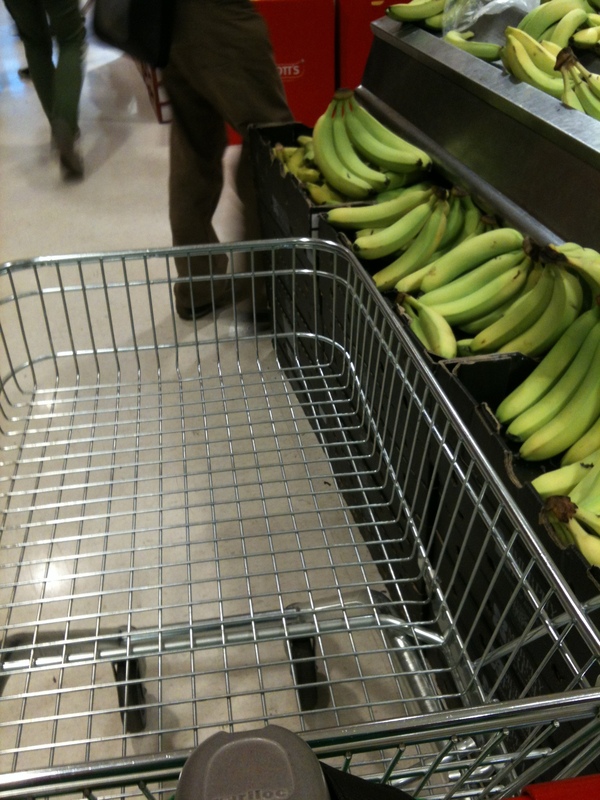 Ever since getting fit I am horrible about peaking in other people’s carts – processed, processed, processed – yep that sums it up for 95% of people. AND the sugar cereals!! Please moms, stop feeding that crap to your kids. How can that possibly be a healthy breakfast. Only time I let my kids eat it is for a rare DESSERT treat after dinner!! They are the worst, aren’t they! And there’s so many of them!! Never ending isles! I do tend to agree with you but it doesn’t do my paranoia levels any good… I cried for half a circuits class in Monday because we were in teams and I felt like the fat one who never gets picked…this was despite the instructor saying I was performing better than ever! Sorry I got off topic there, my paranoia is not your fault and you are right, especially about the processed stuff..
Hello, while I agree with this for the most part, it terrifies me. I am overweight (not in a denying everything but can’t get iPod the couch sort of way) but I am quite fit and getting fitter, I exercise every day (sometimes for hours as I am a dance performer) and I do eat fresh healthy non processed food as much as possible.however I live with huge paranoia that people are judging me because of my size (which is changing) if I need chocolate biscuits (which I sometimes do…I don’t eat them but my husband is type1 diabetic and needs emergency food) I worry that people judge my shopping, if I am achy from an exercise class I get looks and worry that people think my slight limp is because I am too heavy. I walk in to a new class and get given the baby weights and told to take it easy even though I am fitter than quite a lot of “normal sized” people and have been doing a lot of training for a while now. I cried through a circuits class (while still doing everything) because the tall lean people made me feel like I was holding up the team. I am aware that a lot of it is in my head, but reading things that back up my fears makes them slightly worse. No worries 🙂 Let me know what you think! hahaha I thought I was the only one who did this! I like to have a good old snoop while waiting in the queues at tills! I must admit I do look at my shopping sometimes and think it looks quite healthy today only one item of junk food and on other days the cashier must think I’m such a fatty! I suppose that’s why I try and use the self-service no-one to judge you except when you have that mini-heart attack and the cashier has to come over and sort out the till. They look at your shopping and have a not so innocent smile on their face especially when it comes to alcohol! Haha so true!! Love this post! Hi Ashild! Thanks for following Nowhere to Run. I love this post as I do the exact same thing! My favorite, though, is the shopper who pays for all the milk bread, cheese, etc with government food stamps and then pays with cash, separately, for the carton of cigarettes and the case of beer. Hey, without the cigs and beer, they might be able to afford the other stuff. This is pretty inspiring. When I look in my shopping cart, I see all the right things that I need: whole grains, fruits, veggies, yogurt, tofu or tempeh (I don’t eat meat), among other things. I know how to eat right, but I think that maybe I just want people to think that I’m the picture of health. 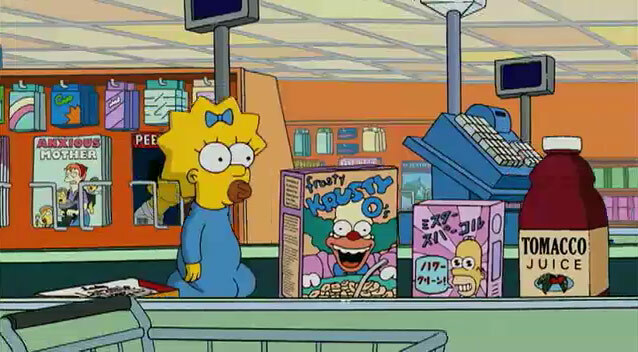 I don’t eat everything I buy. Maybe the berries and yogurt, but I let other things go to waste. I am scared to eat.